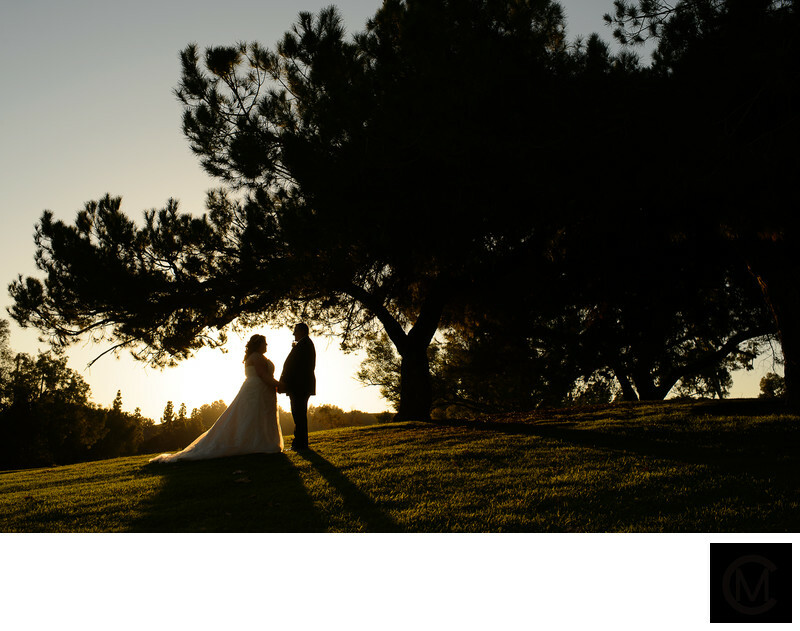 Some of the most beautiful portraits on a wedding day can be taken right before the sun goes down! On Monique + Jeremy's wedding day in late November, we took these images right before the sun went behind the trees. Mountain Meadows' grounds features mature trees and the arch of this tree branch was perfect for a silhouette image! On a wedding day, often times the day can be hectic. The best way to plan to capture an image like this is to ensure have a timeline that prioritizes portrait time during sunset. On Monique + Jeremy's wedding day, they not only had a first look, but they also had the majority of their family portraits completed prior to the ceremony. This freed up their time post-ceremony so we were able to get image of the newly married couple in the beautiful golden light! They were also able to attend most of their cocktail hour and socialize with their guests, which was important to them. Location: 1875 Fairplex Dr, Pomona, CA 91768.